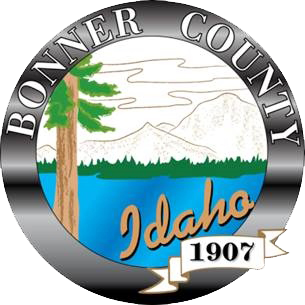 Bonner County 9-1-1 aims to provide effective, efficient service to all citizens in their time of need; ensure a safe environment for responders while maintaining professional conduct, and is committed to performing to the best of their abilities at all times. Dispatch gets many calls on 9-1-1. Less than half qualify as a true emergency. Only use 9-1-1 to report a crime in progress, call for an ambulance, report a fire or to report anything that is an immediate threat to life or property. Use the non-emergency line (208) 265-5525 for aIl other reports. Or the business line (208) 255-3636. If you accidentally dial 9-1-1 please stay on the line. The dispatcher will need to verify some Information such as your name and address. You will not be billed for the 9-1-1 call. If you do hang up, your number will be traced and an officer will be sent to your residence to make sure help is not really needed. Don't let your children play with the phone. Telephones have a safety feature built Into them to automatically dial 9-1-1 if numbers are pushed but don't dial a telephone number. When children push random buttons on the phone they will eventually call 9-1-1. Teach your children how to properly use 9-1-1. Always call from a safe location, if your house is on fire, get out first and call from a nearby phone. Teach children their full name and address, post your address and phone number near the telephone. Tell children to remain as calm as possible and to not hang up until the operator tells them to do so. If they call by accident, tell them not to hang up but to stay on the line and tell the operator there is no emergency. NEVER call 9-1-1 as a joke or prank! You can get into trouble and can delay help for someone who really needs it. The three-digit telephone number "9-1-1" has been designated as the "Universal Emergency Number" for citizens throughout the United States to request emergency assistance. It is intended as a nationwide telephone number and gives the public fast and easy access to Public Safety Answering Point (PSAP). In 1967, the President's Commission on Law Enforcement and Administration of Justice recommended that a "single number should be established" nationwide for reporting emergency situations. The use of different telephone numbers for each type of emergency was determined to be contrary to the purpose of a single, universal number. Other Federal Government Agencies and various governmental officials also supported and encouraged the recommendation. As a result of the immense interest in this issue, the President"s Commission on Civil Disorders turned to the Federal Communications Commission (FCC) for a solution. Congress backed AT&T's proposal and passed legislation allowing the use of only the numbers 9-1-1 when creating a single emergency calling service, thereby making 9-1-1 a standard emergency number nationwide. A Bell System policy was established to absorb the cost of central office modifications and any additions necessary to accommodate the 9-1-1 code as part of the general rate base. The Enhanced 9-1-1, or E9-1-1 subscriber is responsible for paying network trunking costs according to tariffed rates, and for purchasing answering equipment from the vendor of their choice. In March 1973, the White House's Office of Telecommunications issued a national policy statement which recognized the benefits of 9-1-1, encouraged the nationwide adoption of 9-1-1, and provided for the establishment of a Federal Information Center to assist units of government in planning and implementation. The intense Interest in the concept of 9-1-1, can be attributed primarily to the recognition of characteristics of modern society, i.e., increased incidences of crimes, accidents, and medical emergencies, inadequacy of existing emergency reporting methods, and the continued growth and mobility of the population. In the early 1970s, AT&T began the development of sophisticated features for the 9-1-1 with a pilot program in Alameda County, California. The feature was "selective role calling." This pilot program supported the theory behind the Executive Office of Telecommunications Policy. By the end of 1976, 9-1-1 was serving about 17% of the population of the United States. In 1979, approximately 26% of the population of the United States had 9-1-1 service, and nine states had enacted 9-1-1 legislation. At this time 9-1-1 service was growing at the rate of 70 new systems per year. By 1987, those figures had grown to indicate that 50% of the US population had access to 9-1-1 emergency service numbers.